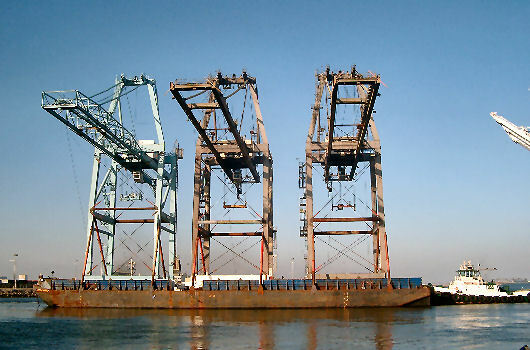 Three older Paceco cranes were relocated from Long Beach, CA, to Seattle, WA, in July 2005. 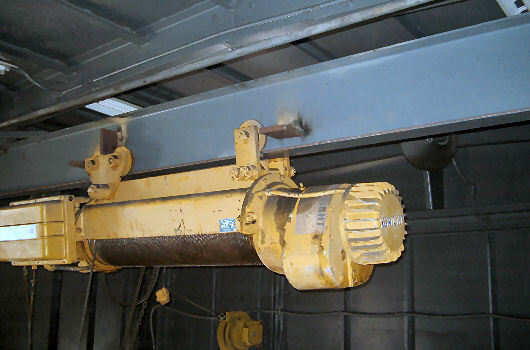 Argonautics Marine Engineering, Inc. provided the loading and offloading ballast calculations, barge design motions, and the marine warranty survey for the tow. 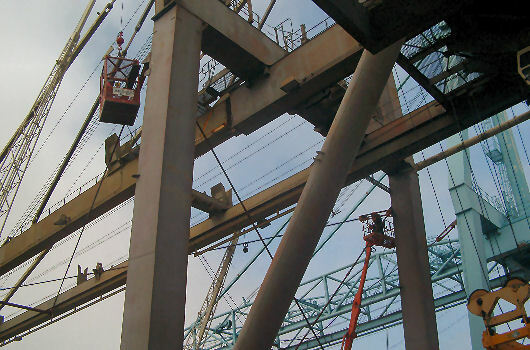 The 3 cranes, each weighing approximately 650 t, were loaded onto the 300 x 84 ft cargo barge WESTERN CARRIER with multi-wheel trailers and secured with pipe bracings. Loose items, containers, and loading equipment were secured with welded clips and/or chain lashings. Upon receipt of the tow approval certificate, the tug and barge departed Long Beach early July, 2005, stopped over in San Francisco for bunkers, and arrived safely in Seattle 2 weeks later where the cranes were offloaded. Inspect the 3,200 hp coastal tug OCEAN MARINER and its towing gear.